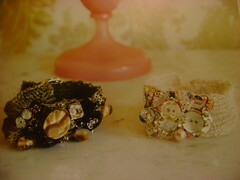 I thought it was time to make another crafty blog. Especially since I’m in a crafty mood. It’s spring break and I haven’t knitted a whole lot this semester. I’ve been busy with school, but I’ve decided that I’m not going to get ‘caught up’ or ‘ahead’ of the homework game this week. I’m just taking a breather. 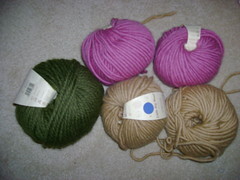 I went to the store today to buy some yarn that fits the specifications of some patterns that I wanted to make. Most of my yarn is acrylic… which I know now is not the best, especially if you want to felt things or have interesting textures. The best thing acrylic is good for is afghans and stuff like that. So I decided to make a brown/orange/white one. I knitted the body of a purse yesterday and now only need to put the handles on, which I can do now that I have the right size of double pointed needles. 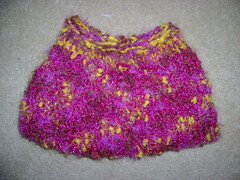 The pattern is in One Skein. 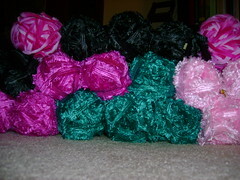 I think I might sell these things online, through my mom’s site that she’s starting. 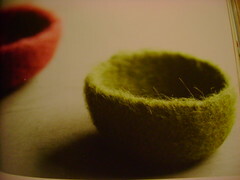 So I bought some wool for felting bowls. 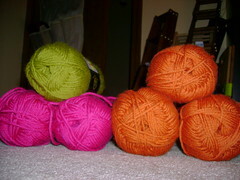 Also in One Skein. 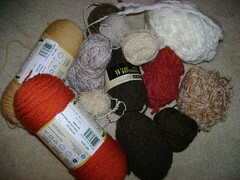 Some ribbon yarn for purse making. 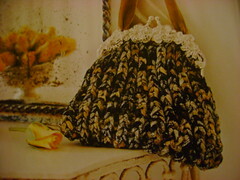 The pattern is in Glamour Knits. By the way, purse frames are hard to come by. I found this site, but I’ll have to get a whole bunch of them to get them cheaply enough. All the other websites that I looked at were more expensive. 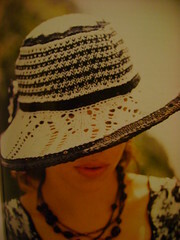 These are also some more patterns that I would love to make from that book. 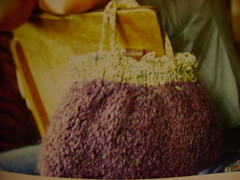 The next awesome book that I checked out is Annie Modesitt’s Romantic Hand Knits. I don’t know when I’m going to have time or the money to buy all the skeins it will take to make these, but I have to try sometime. 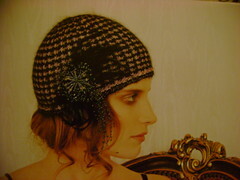 I also have to try making these hats. I have no idea how, but it’ll be fun. I’m not sure I can do all this over spring break. Maybe I’m overzealous. Did I mention that I have like 10 books that I want to read over break?